Everyone agrees that electric propulsion is the future in mobility, both in the automotive and aerospace sector, but there are still mountains to climb before it becomes the de facto standard. It will be especially hard to make an electric airplane for passengers and cargo that can fly over long distances because batteries are very heavy when compared to jet fuel with the same energy density. 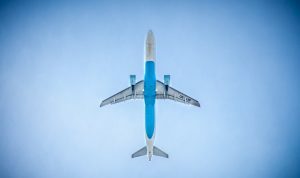 Researchers from the University of Illinois think that hybrid-electric powertrain is a viable solution for aircrafts until batteries become dense enough to pack enough electricity in light form factor. The hybrid-electric powertrain that they suggest works similarly to hybrid-electric cars such as the Toyota Prius, where electric motors help the gasoline engine and make it more efficient. The team consisted of Assistant Professor Phillip Ansell and doctoral candidate Gabrielle Wroblewski made a flying simulation of the Tecnam P2006T airplane, which is a small twin-engine aircraft manufactured in Italy. First, they made a simulation with the planes existing engines and then with a hybrid-electric propulsion system to see if there will be gains fuel consumption, range, and emissions. More precisely, they used the measurements to simulate how different parts of the hybrid-electric powertrain, such as the batteries and level of electrification, will improve the overall impact on efficiency. This is very important, as just adding batteries may increase the weight of the airplane so much that it becomes less efficient. They also simulated both series and parallel architecture hybrid systems. After all of the simulations were finished, they found that parallel hybrid powertrains can substantially improve the fuel efficiency of aircrafts, especially for short-range flights, where the battery energy can be used to its full potential.